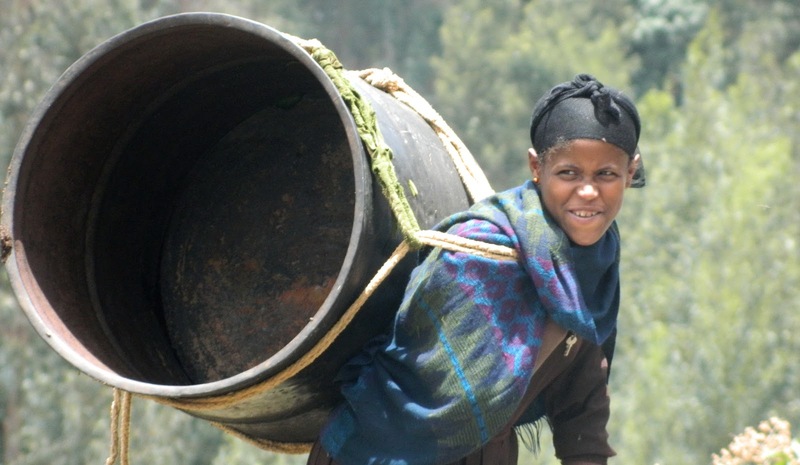 As I push forth through the final hill on the outskirts of Addis Ababa, Ethiopia, the firewood carriers have captured my attention. 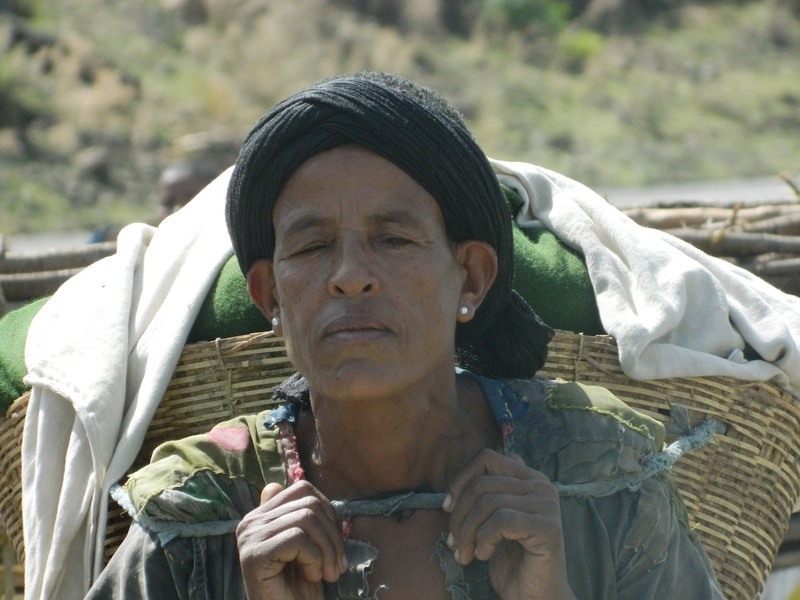 Women, bundles of firewood strapped to their mule shaped backs. peer down into the shadows of the mountainside. Their tiny strong thighs stride forward up the road to greet another day. Fueled by nothing but biscuits due to a rotten food encounter, Pandemic The Magic Bicycle continues to cycle upward through the mountains into the surprisingly modern city’s edge. However, I cannot focus on my own pedal pushing endeavors. The fire wood carriers, as refered to by int'l human rights group, are baring the steep gradient barefoot. Is there not an alternative. Could the needed firewood used for cooking fuel not be obtained more humanely? Where are their husbands to help share the weight? I think to myself. Multi-generation mule type activities imposed on the family’s females has heightened my emotions many times before while pedaling through Asia, the Middle East and now Africa. Angered by women’s slave like circumstances in many places in the world, I climb. Overwhelmed by their stout determined roadside stride, I climb. Confused by accepted genre roles in many cultures, I climb. Amongst frowning females and the occasional grin of a ignorant to an easier life youngster, I climb. With the modern capital city of Addis Ababa in plain view I descend, an age old traditional Ethiopian coffee in the city a waits. “I want to open an orphanage to teach boys how to be men”, I am enjoying famous Ethiopian coffee in the heart of the city with an Ozzie man with a dream. “What do you mean?”, I ask, although after seeing women carrying loads of wood and other goods on their mule shaped backs for weeks, I am fairly certain I know where this Ozzie with a dream is heading. We'd love for you to check out Connected in Hope Foundation and our work with the Wood Carriers in Ethiopia.